Join us for the SICSA PhD Conference 2019! As the Graduate Academy Director, I take great pleasure in inviting the community to the SICSA PhD Conference 2019, to be held at the beautiful University of Stirling on 18th & 19th June. The SICSA PhD Conference is our flagship event for our PhD students, being the highlight of the calendar. Every year it becomes ever more popular, and more polished, and this year is shaping up to be no different. We have a great slate of workshops, keynotes, and events to keep you busy. 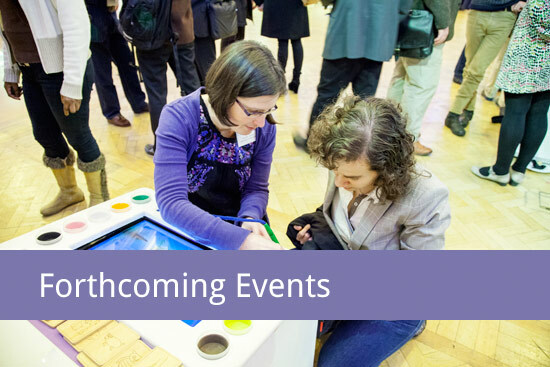 Of course, there is also plenty of time to mingle, network, and catch up with what is happening Scotland-wide in research. The PhD Conference is targeted specifically to students in a PhD program at any of the SICSA institutions and is free to attend. It is very much your event, and I am happy to say it is primarily organised and run by students, in the shape of a very committed organising committee. It is both a showcase of the fantastic research going on around Scotland, and an opportunity to create and build new bridges, personal and professional. And you can exchange ideas on how to beat the PhD blues as well. I wanted to also highlight two competitions associated with the conference; there will be a Poster Session with prizes for best posters. This will be a great opportunity to show off your research and practice presenting it. And second, supervisors need not feel left out, we are having a Supervisor of the Year competition, with results to be announced during the conference. The Supervisor of the Year competition will open shortly and all the details will be publicised via the SICSA Conference Web-site as well as the SICSA web-site. Registration for the SICSA PhD Conference is now open so please register early (spots are free, but tend to fill up quickly). I look forward to seeing you there, please do come along and say hello. Recently, I had the opportunity to experience what it’s like to be awarded the PECE Travel Bursary by SICSA, which can be used to fund visits to academic institutions in the USA, EU, India, and China. This grant is aimed at early career researchers like myself, who will gladly take the opportunity to hone their grant writing skills and broaden their professional networks. This is not the kind of funding that would fund your travel to a conference where you have limited time for networking and always have to compete with other people eagerly trying to promote their ideas. No, this one is different. This is the opportunity to spend weeks at foreign institutions and really experience the culture and different approaches to research. My visits were designed to align closely with my work on the TrustLens project (http://trustlens.org) at the University of Aberdeen. TrustLens is an interdisciplinary project that adopts a socio-technical approach to explore what it means to realise Internet of Things (IoT) solutions that are transparent, accountable, and which empower end-users. Our ambition is to create a means by which a user can review the characteristics of an IoT device in terms of its impact on their personal data, answering questions such as: What type of data is it capturing? For what purpose? Who sees it? What are the (potential) benefits and risks? They also should be able to exert a degree of control over their data, and be guided to assess its reliability and accuracy. The overall aim for the visits was to leverage the expertise of overseas researchers and to establish a mutually beneficial forum for discussions around issues related to transparency and privacy in IoT that may lead to future collaboration. First stop was the famous city of angels. I am not sure if there is much to add to all the information about LA that can already be found online. However, I can confirm that LA is a unique city with its special atmosphere and sunny weather. People at the USC Information Sciences Institute (ISI) that I had the pleasure to work with are great. Highly motivated and ready to dedicate long hours of work split across multiple projects (as you would expect from a US institution). They also have access to excellent resources for research which can range from high profile seminar speakers to a real quantum computer (D-Wave) occupying half of a room somewhere in the building. Although the name and reputation of the institute could seem a little bit intimidating to some, there is no need to worry. The atmosphere is quite relaxed yet still very productive. After being allowed to attend a few of their internal project meetings I was also happy to see that the research project culture is very similar. We had some great discussions about our work on transparency in IoT and how this might also overlap with their interests. As it turns out, finding the overlaps was easier than I thought. During the visit, we identified a number of extension requirements for a model that both of our groups use to describe plans captured in a provenance record. The extension focuses on enhancing the current version of the model with additional concepts such as constraints, agents and communication channels used to exchange data. As one would expect, whiteboards were filled with ideas, and plans for future publications were made. I have never visited China before and I must say, I was impressed. After arriving in Shanghai you have an immediate opportunity to experience a very futuristic way of travel – magnetic train. Maglev is an impressive piece of technology and when you are travelling at 430 km/h you can’t help but to wonder why the train from Aberdeen to Edinburgh has to take 2.5 hours! Suzhou is a major city some 70 miles from Shanghai. The Xi’an Jiaotong-Liverpool University (XJTLU) is based in its newly developed industrial area (SIP), which continues to impress with its modern buildings and good infrastructure. XJTLU is a young university founded in 2006. It has experienced a rapid expansion in recent years and the student population is rising rapidly. Its close ties with UK institutions are immediately noticeable during the first discussions with the faculty staff. Most of them spent years working in UK institutions and therefore there is hardly anything foreign about the internal system at this university which is thousands of miles away from the UK. During this visit, discussions were more diverse and covered a range of different topics. I had a great time and learned a lot about the research environment in which Chinese institutions operate. We had some really good discussions on the potential use of machine learning to identify personal data in IoT deployments. The work will focus on designing models for capturing information about people, animals, and objects that can be observed by sensors. Inspired by the recently introduced General Data Protection Regulation (GDPR), we intend to capture information that can be used to train a machine learning classifier capable of deciding whether the observations produced by an IoT system are personal or not. I was very pleased with the plans that were put in place during the visit and although ambitious, this should be a very interesting piece of work. I have also encountered an unexpected demand for my knowledge on crowdsourcing systems gained during my PhD, which might also lead to future collaboration. Overall, both visits were a great experience that enabled me to widen my perspectives on the international research community. The interaction with researchers outside of my home institution and opportunities to engage with different types of audiences was a great experience. Change of environments also triggered new thinking processes from which fresh and novel ideas have emerged. I would recommend this kind of experience to any early career researcher. In August of this year the Multi Drone project hosted a summer school in Thessaloniki, Greece. Three PhD students from the Edinburgh Centre for Robotics, Hugo Sardinha, Helmi Fraser and myself, attended the summer school funded by the SICSA Summer/Winter School Bursary along with 90 participants from Scotland, Greece, Hungary, Germany, Belgium, France and Turkey. The school was joint organised by the ICARUS.auth R&D team and the Artificial Intelligence and Information Analysis (AIIA) Lab, the School of Computer Science, Aristotle University of Thessaloniki. The main focus of the summer school was deep learning and its application to multi-drone cinematography, which is the key area of research involved in the multidrone project. Luckily there was only a single track so we were able to attend every lecture and workshop at the summer school. The lectures were all located in Aristotle University’s beautiful, and well air conditioned, Kedea building and a demo of a drone audiovisual shooting was held just outside in the greek summer sun by Deutsche Welle. On the first day we learnt about mapping and localisation, machine learning, computer vision, and an introduction to multiple drone imaging. These lectures were delivered by key members of the multidrone project, Prof. A. Tefas, Prof. N. Nikolaidis and Prof. I. Pitas of Aristotle University of Thessaloniki, Dr B. Guerreiro of IST Portugal, and Prof. J. R. Martínez-de Dios of University of Seville. That evening the workshop had organised a welcome party for the attendees in the Treehouse in the city centre, which is a large outdoor venue with music. This gave us the opportunity to meet the other attendees on a more informal basis, many of who were also planning to use deep learning or computer vision within the scope of their PhD research. Day two’s focus centred on target detection/tracking, drone mission planning and control, drone safety, drone cinematography, human-robot/drone-interaction. In addition to this there were two keynote speeches Civil Drone Operations (Current & Future): Regulatory Matters – Challenges & Opportunities by Peter van Blyjenburgh who is the President of UVS International and Privacy protection, ethics, safety and regulatory issues by Prof. N. Heise from Deutsche Welle. We were then treated to a traditional meal at the Kivotos Ton Gefseon bar and taverna which is a 5 minute walk from the seafront in Thessaloniki. The restaurant was laid out with long wooden tables and food was brought out in large sharing platters throughout the night. In addition to sampling greek cuisine our hosts had organised for traditional greek music to be played along side out meal. However once the meal was over our new greek friends taught us their traditional dance which we continued until the venue closed. The final day involved a hand-on deep learning workshop where we were shown how to use OpenCv and TensorFlow, applied to face and object detection. Our tutor was a final year PhD student who has been working closely with these technologies and who’s expertise guided us through our first deep learning experiments. We really enjoyed our time there, not just because of the amazing city, great food and lovely hosts, but because we had the opportunity to learn a crash course in deep learning, cinematography for drones and multi drone systems which directly feeds back into each of our PhD projects in different ways. In addition we have made some great contacts within the multidrone project, which includes AI/Robotics departments in Spain, Portugal and Greece. This opportunity wouldn’t have been possible without funding from the SICSA Summer/Winter School Bursary and we are very grateful for the experience! Last month, I attended the tenth SICSA PhD conference at Robert Gordon University in Aberdeen. This is the northern-most location for our annual conference so far, and I was impressed by the beautiful setting and ideal facilities at this modern university campus. Paul Hagan from RGU opened the conference; in his speech he complimented SICSA as a ‘great model for Scotland-wide subject-specific collaboration.’ Since he was one of the architects of the SFC research pooling initiative, this is high praise indeed. Many of the 150 student delegates brought a poster along with them, describing their research projects. As I wandered round the poster display, I encountered an amazing breadth of topics. 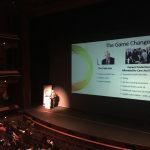 Highlights include apps to help people with Autism, using comic strips to understand complex data, and simulating the structure of stars with parallel computing. At an evening banquet in the Trinity Hall, we did a ‘back of the napkin challenge’ where everyone had to depict their research by scribbling on a paper napkin. There were plenty of intriguing drawings – check out #sicsanapkinchallenge on twitter for some examples. Throughout the two days of the conference, there was a great selection of talks and workshops. Since they happened in parallel, I wasn’t able to attend everything. However, I particularly enjoyed Diane R. Pennington’s deeply personal and highly motivational workshop on student wellbeing and mental health. I appreciate that a significant proportion of PhD students experience mental health difficulties during their studies, and it’s good to see this is being addressed by institutions at last. I also attended Michael Smyth’s cinematographically inspired presentation on how to complete your thesis. He gave us plenty of pragmatic tips on writing up, while introducing us to tenuously related films from the 1950s. As I near the end of my term as director of the SICSA Graduate Academy, I reflect that the SICSA PhD conference encapsulates what makes SICSA so uniquely compelling. We have a vibrant, friendly community clustered around a diverse range of world-leading research teams. Here’s to the next decade of adventure, discovery and collaboration at SICSA PhD conferences! Gabriel Murray is visiting Scotland on a SICSA Distinguished Visiting Fellowship, and will be giving talks at Edinburgh, Glasgow, and Heriot-Watt Universities. The talk abstract, schedule, and Dr. Murray’s biography are below. The dynamics of small group interactions are an area of study for many disciplines ranging from social psychology to organizational behaviour and communication. There has been a surprisingly small amount of research on using natural language processing for understanding and predicting small group phenomena. This talk will present a variety of tasks and experimental results demonstrating that NLP can be useful for predicting aspects of group interaction, such as predicting group performance on a task, detecting hidden sentiment of group participants, and learning about unobserved group behaviours through meeting artifacts. It will also be argued that language-based predictive models are very valuable when we need to provide interpretable models or actionable feedback to a group — two scenarios where nonverbal models on their own may be insufficient. Gabriel Murray is an Associate Professor in Computer Information Systems at University of the Fraser Valley, and an Affiliate Professor in Computer Science at University of British Columbia (Canada). His research primarily focuses on the intersection of speech and language processing and small group interaction. He teaches a variety of courses related to artificial intelligence, including machine learning and natural language processing. He received his PhD in Informatics from the University of Edinburgh, under the supervision of Drs. Steve Renals and Johanna Moore. Glasgow in summer … what a great experience! 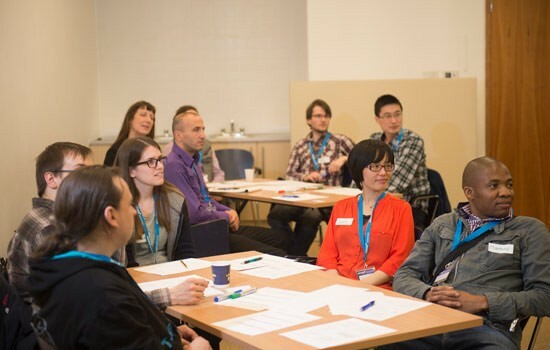 If you are enthusiastic about manycore processors, systems and parallel applications, please sign up for the Manycore summer school, running 16-20 July at the School of Computing Science, University of Glasgow. The manycore revolution is fundamentally changing multiple levels of the execution stack from processor architecture, through systems software, to end-user applications. Moore’s law is now tracking the number of cores in a chip – such as the latest Intel Core i9 and AMD Epyc processors. Thanks to generous sponsorship from SICSA and EPSRC, registration and one week en-suite accommodation at the Manycore summer school are provided for free to PhD students and postdocs based at UK universities. Check out the website for full details, including the summer school registration form. Only a few weeks till the deadline for outline applications to the EPSRC Centres for Doctoral Training call! 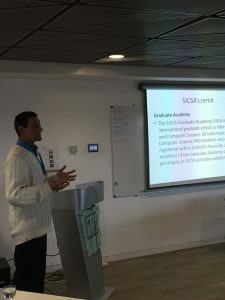 SICSA organized a workshop in Glasgow last week, to bring together Scottish computer scientists who are intending to submit CDT proposals. Around 25 academics attended the event, representing a majority of the 14 SICSA institutions. Kevin Hammond and Jeremy Singer started by emphasizing SICSA’s commitment to increasing CDT success in Scotland – in terms of both the quantity and the geographical spread. How will you evidence a need for a CDT in your chosen topic? How can you establish and maintain a cohort effect? Dee Heddon from SGSAH provided further insight, through a range of ‘war stories’ drawn from her experience with the Scottish AHRC CDT. Coping with inter-institution rivalry and tension seems to require remarkable patience and diplomacy – she has 17 university partners to appease. In the afternoon session, participants engaged in writing or planning for their outline applications. Different groups were at different stages – some had brought along draft proposals for feedback – other groups only began to assemble at the workshop, particularly around themes like e-Health and AI. Darran Gardner from The Data Lab described an industrial perspective on doctoral training, and provided hints on how to foster helpful relationships with industry partners. All in all, it was a useful day. At SICSA, we are determined to do all we can to strengthen Scottish-based CDT bids. If you are submitting an outline proposal, please get in touch with us to see how we can support your application. SICSA aims to maximise the success of EPSRC CDT applications from our member institutions. To this end, we want to support CDT outline bids as far as possible. SICSA has committed to providing a £75K package of in-kind support to each CDT bid. This comprises reserved places at our annual PhD conference, pre-allocated booths at our DemoFest industry-facing event, and priority access to our industrial internship funding programme. At this outline proposal stage, we intend to get as many Scottish ICT CDT bids through to the next round. We are running a CDT Outline Writing workshop in Glasgow on 13 Feb – please sign up and come along! A professional research trainer will help us to shape outline proposal ideas, provide in-person confidential feedback on draft documents, and give focused advice on how to present balanced research and training programme proposals. The SICSA research community represents the best of Scottish academic collaboration. In the first iteration of SICSA, cross-site PhD student supervision and supervisor partnering were defining features. This round of CDT funding is a golden opportunity to reinvigorate such cooperative initiative in postgraduate research. My exchange involved visiting Ewa Deelman and Yolanda Gil, both located in the same University (USC) and Institute (Information Science Institute – ISI), from 30th September to 10th December 2017. This visit gave me the great opportunity to work with two World-leading authority on the research and development of advanced information processing technologies and intelligent systems to support extracting knowledge from data and scientific discovery. Before my arrival, I performed several teleconferences with both, Ewa and Yolanda, so we narrowed the aim and the scope of the visit beforehand. I think that going there with already two pre-defined research-lines in mind helped me a lot to have a successful exchange. For more than 15 years, Ewa has been conducting and leading the research in scientific workflows. After a couple of meetings, we decided to work together in a new scalable and tolerant monitoring data-streaming framework, which allows us to collect, pre-process, store and visualize data in real-time. This framework is aligned with the Panorama project (https://panorama360.github.io/), an approach to performance modelling and diagnosis of extreme-scale workflows, where Ewa is the Principal Investigator. Currently, this framework is being evaluated at the British Geological Survey (BGS), as a possible architecture for monitoring real-time sensor data and creating an alert system for interpreting sensors at the field (http://www.bgs.ac.uk/ukgeoenergyobs/). 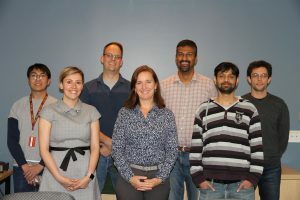 Yolanda’s research focuses on intelligent interfaces for knowledge capture, which involves topics such as semantic annotation tools or community-wide development of knowledge bases. Yolanda has recently started a new project called MINT: Model Integration through Knowledge-Rich Data and Process Composition (http://mint-project.info/), which I was invited to participate as an external collaborator. Together we developed a new intelligent catalog for hydrological knowledge capture. The new catalog acts as a semantic data hub for choosing which countries to work with in this project (e.g. countries for which we have more datasets available). The next steps will be to link the catalog and mount it in public repository to make queries against it. These collaborations haven’t finished after my visit, since I am still in touch with both hosts, and we have several ideas for continuing collaborating together (e.g. a draft of a paper for eScience conference or future bids and grants). The research conducted during this visit at USC/ISI is not only very valuable for me, in terms of my career, as well for the institution where I work as a data scientist. At BGS, I participate in several national and international funded projects (such as EPOS, UKGEOS or Envriplus), where new data-streaming architectures as well intelligent catalogs are needed to improve the interoperability and accessibility of models and data. Therefore, the work conducted at USC/ISI and the new skills learnt would have a positive impact in the projects that I am currently working on. I really encourage early career researchers to take advantage of the SICSA PECE grant. It will have a high impact in your future steps as a researcher and it will allow you to increase your network of contacts, and skills while you are working full-time (for a period of time) in an area of your interest. 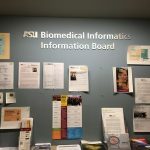 In summer 2017 I visited the Department of Biomedical Informatics in the Arizona State University as part of a SICSA-funded Postdoctoral and Early Career Researcher Exchange (PECE). To say that this research visit has been successful would be an understatement. It has allowed me not only to achieve the aims I set out when planning the visit, but also to connect, learn, grow and explore new research directions in ways I hadn’t anticipated. During my visit, I was able to work closely with my host, Dr Adela Grando, with other academic faculty and students in the University, as well as with clinical experts from the Mayo Clinic. This rich collaboration gave me a practical perspective on the importance of and challenges in biomedical technologies. From the first day of my visit, I engaged with research in electronic health record workflow discovery and analysis. In particular, I employed process mining techniques to discover and analyse pre-operative electronic health record workflow in the Jacksonville Mayo Clinic. 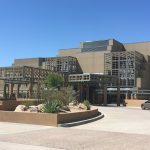 By combining this analysis with observational data collected by other team members in the Arizona State University and the Mayo Clinic, we were able to tell a comprehensive story about electronic health record workflow, which we described in a paper submitted to the AMIA 2018 Informatics Summit. This work is also going to be presented on Monday 30th October in the University of Edinburgh (for more information see here). This hands-on experience in clinical process mining has been an eye-opener for me. Before this research exchange I knew very little about process mining. I now understand the opportunities and challenges in this area, which I plan to continue exploring in the future. In fact, I am still collaborating with the Arizona State University team, and we are extending the previous study to consider additional Mayo Clinic sites. As a concluding remark, I can’t stress enough how important I think such opportunities are for early career researchers like myself. 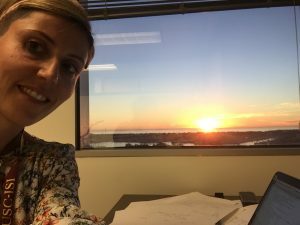 The SICSA-funded visit has allowed me to step out of my comfort zone and experiment with a new research approach, while building close relationships with world-leading experts. Like a breath of fresh air, it has reminded me why I love doing research and why it is worth doing it. So if you are an early career researcher and are thinking about doing a research visit, do not hesitate. Choose the host institution that you find most intriguing, apply for some SICSA PECE funding and get ready for a life-changing experience.